We are hosting a homeschool science fair open to anyone homeschooling in grades K-8. Students would complete a science experiment of their choice at home, and then present their results on a table display for others. We will have volunteer judges to give feedback, but there won't be formal awards given other than for participation. This is not associated with the older kids' science fair where the winners move on to compete at higher levels- this is just a separate opportunity for younger kids to learn and use The Scientific Method, present their work, and practice public speaking on a small scale by explaining their project to other adults and kids. The deadline to sign up is Jan 20. For more information or to RSVP, please contact Rebecca Miller at rebeccalmiller@gmail.com . 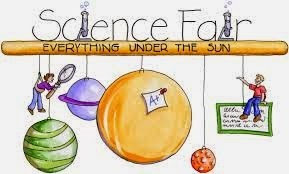 This link is a great resource for how to do a science fair project, and Cora Connelly has also agreed to teach at least one class about how to do projects if there are enough interested people. This is open to everyone who would like to come look, not just those participating.